German prosecutors say they have no evidence so far linking a man held over the bomb attack against the Borussia Dortmund team bus to the crime. But they have requested an arrest warrant to keep the 26-year-old Iraqi national in custody. The man, identified only as Abdul Beset A, is suspected of membership in an affiliate of so-called Islamic State. 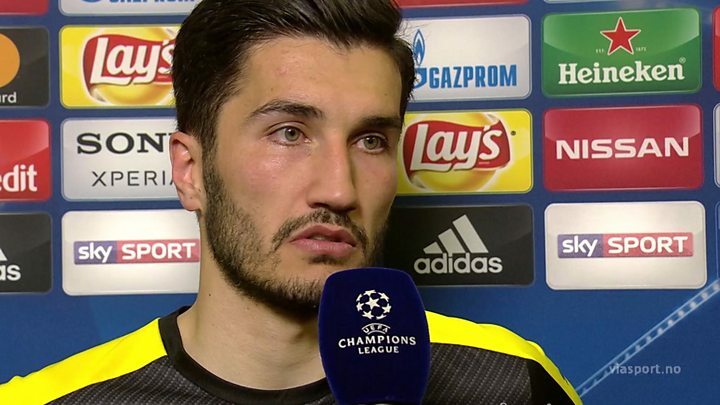 Three devices exploded on Tuesday as Borussia Dortmund footballers were travelling to a match against Monaco. Spain international Marc Bartra underwent an operation after breaking a bone in his wrist. No other players were hurt. The suspect is accused of leading an IS command unit in Iraq in 2014, and of planning abductions and murder. The German prosecutors say he travelled to Turkey, and then to Germany in early 2016, while maintaining contact with IS jihadists. He is due to appear in court later on Thursday, and is expected to be formally arrested in connection with the bus attack. 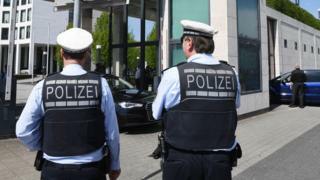 A 28-year-old German man is also under suspicion, but has not been arrested. The Champions League match between Borussia Dortmund and Monaco went ahead a day after the bombing, at Signal Iduna Park in Dortmund. Dortmund lost 3-2 at home, in the quarter-final first leg match. Afterwards, Borussia Dortmund manager Thomas Tuchel said his club felt "completely ignored" over the rescheduling of the match. "We would have liked more time to take stock," he said. Three identical letters claiming responsibility were found at the blast scene. Investigators say they are not typical of IS claims - for example, they do not bear any IS symbols. The blast radius of Tuesday's attack was about 100m (330ft). Prosecutors said it was lucky the casualties were not worse. A policeman was also injured. The devices contained bits of metal and one shard embedded itself in a headrest on the bus. Dortmund police say the fans' behaviour has been exemplary. Many Dortmund fans offered accommodation to Monaco fans, because of the match postponement.